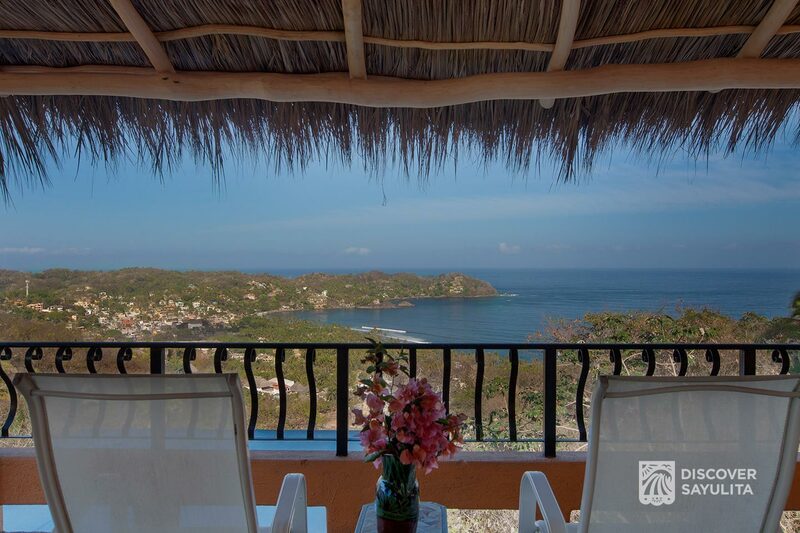 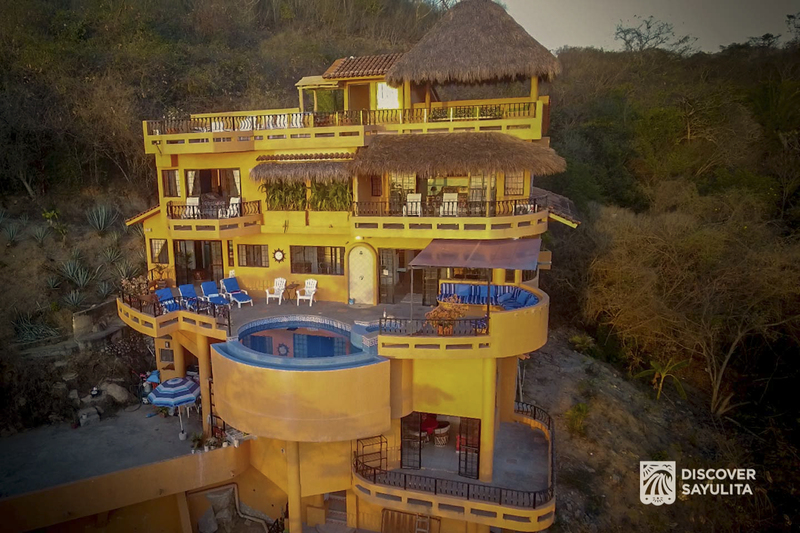 Overlooking the Pacific Ocean, Casa Agave’s stunning, 5 level, 5 bedroom, 5 bathroom, 2 kitchen, Nanzal Hill located casa, provides the perfect setting for your ultimate Sayulita experience. 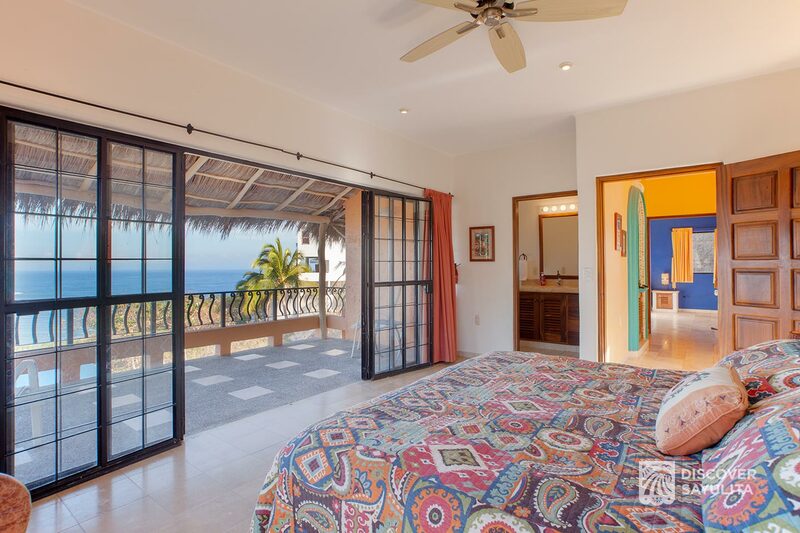 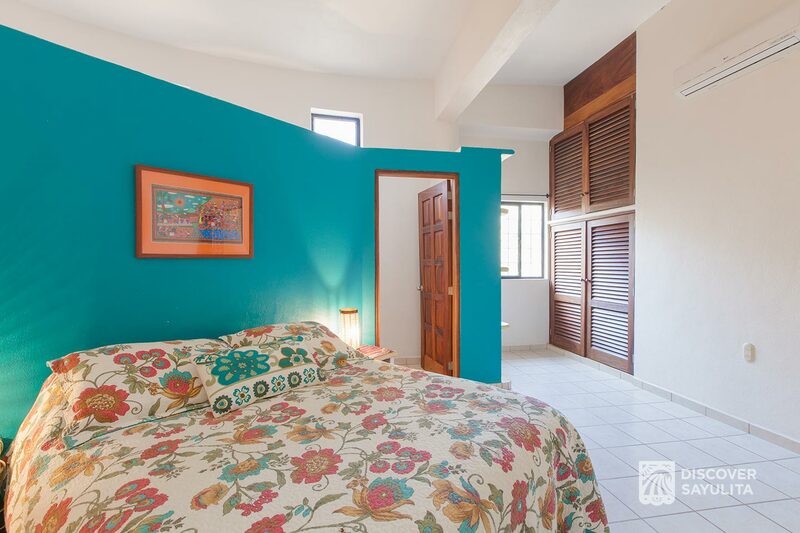 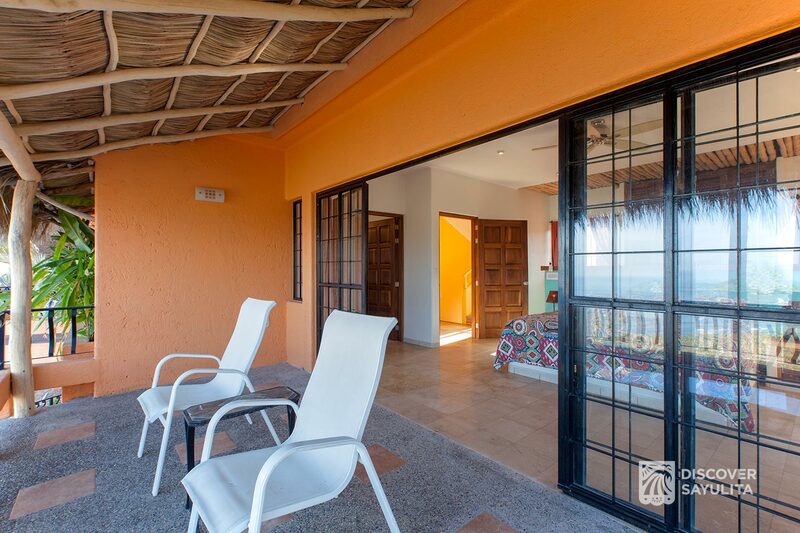 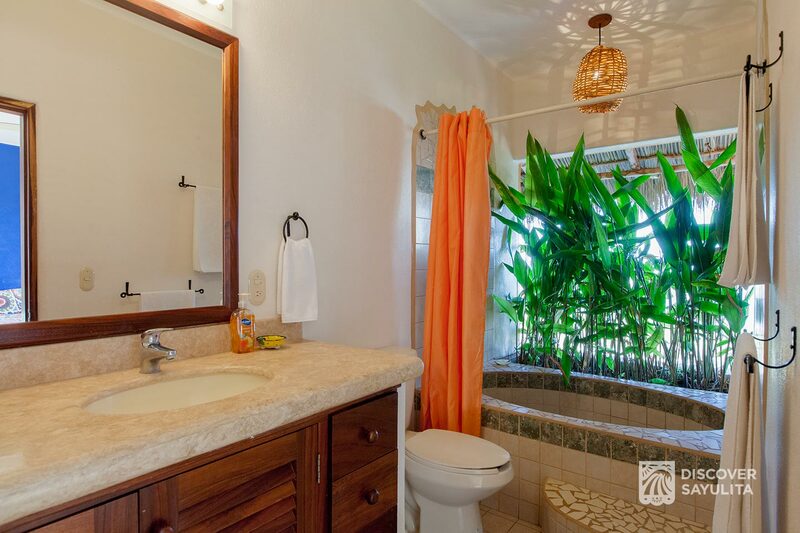 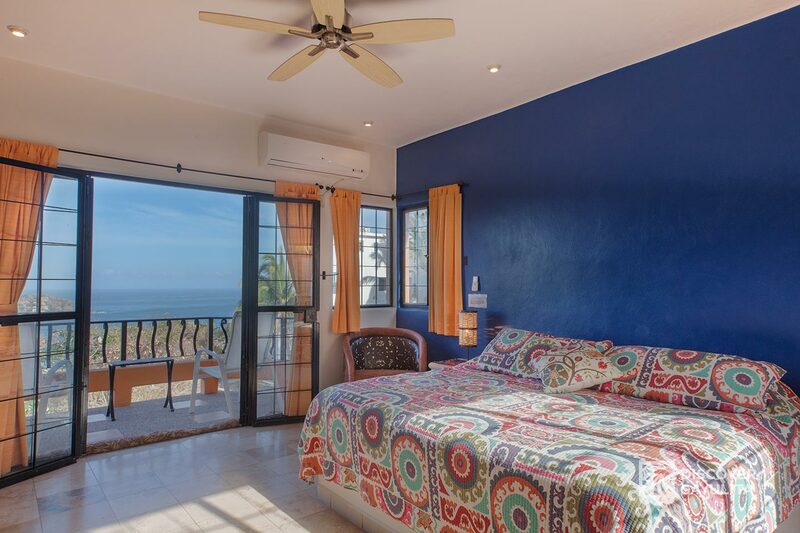 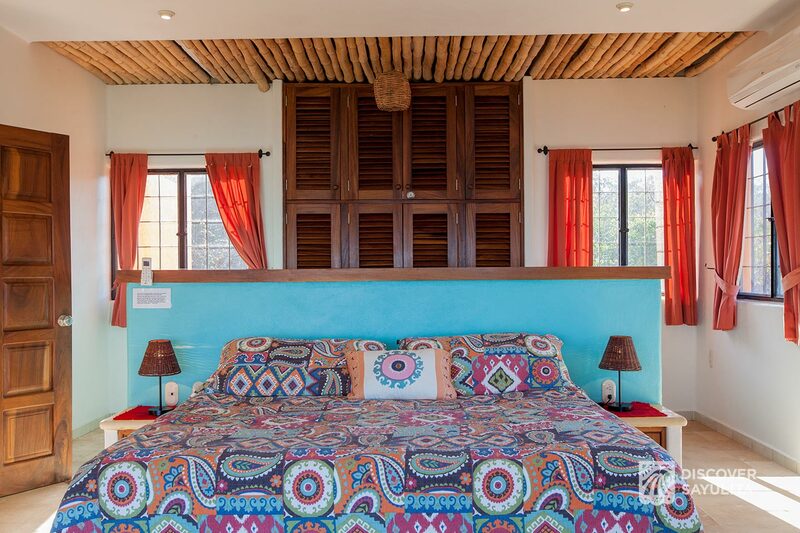 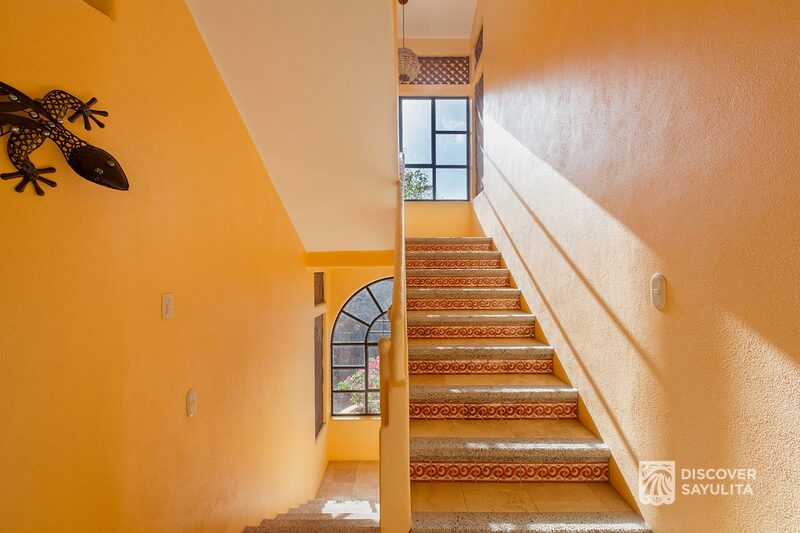 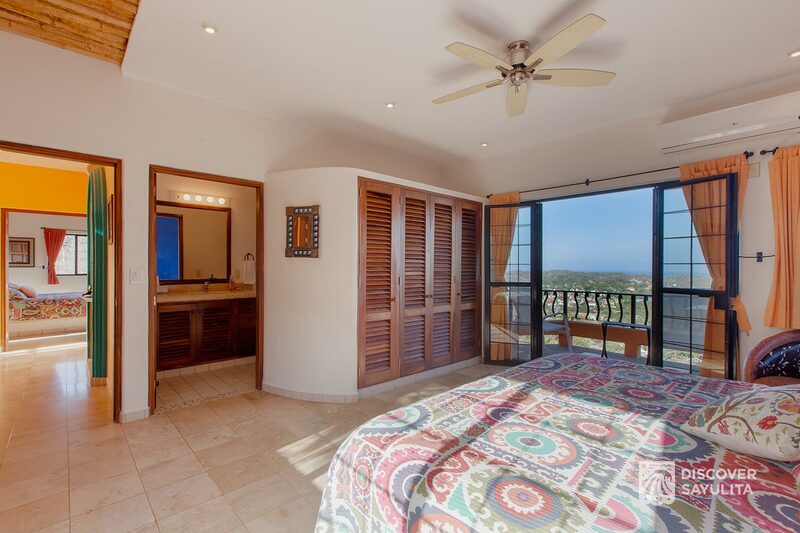 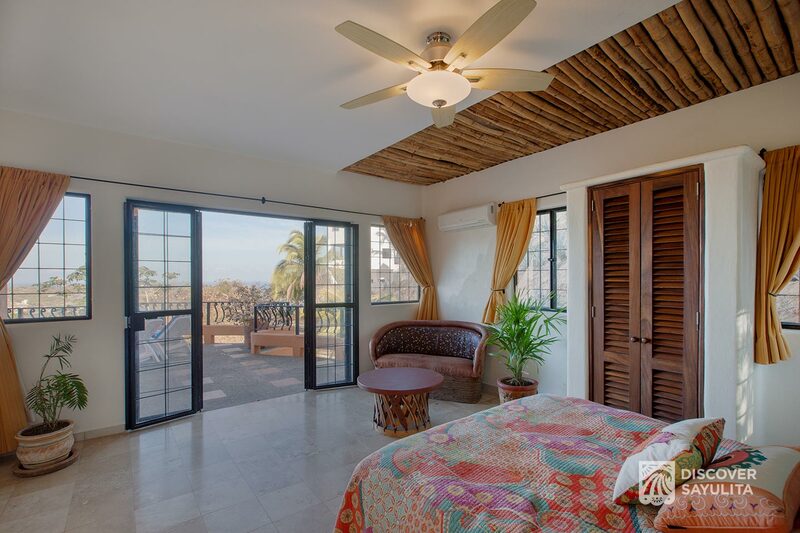 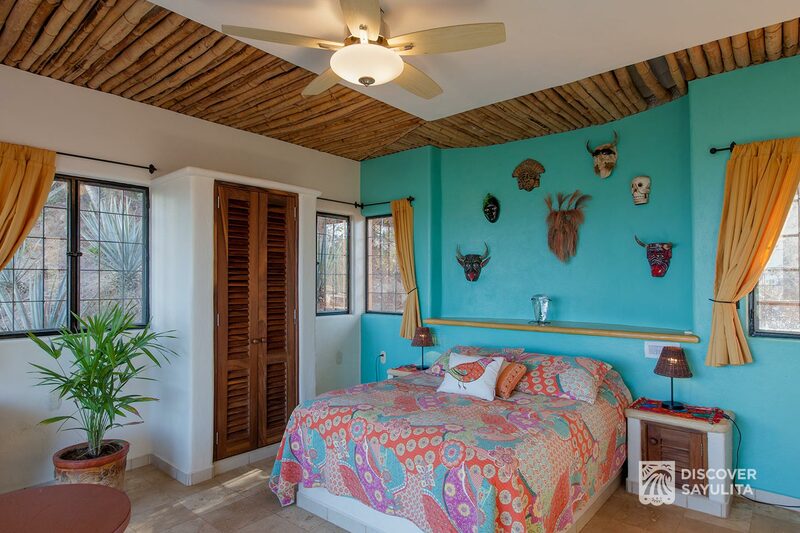 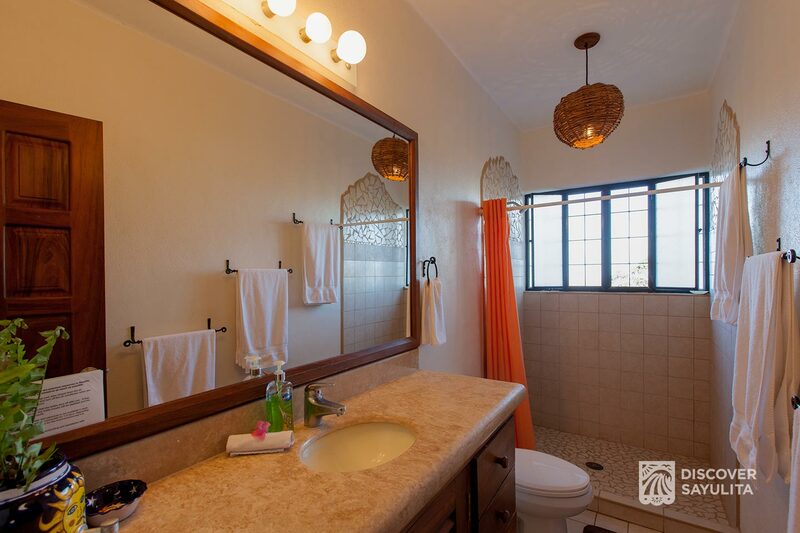 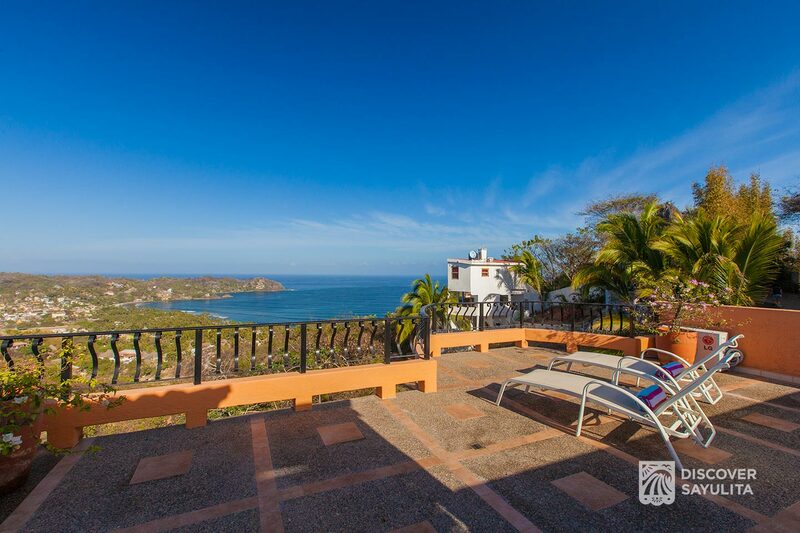 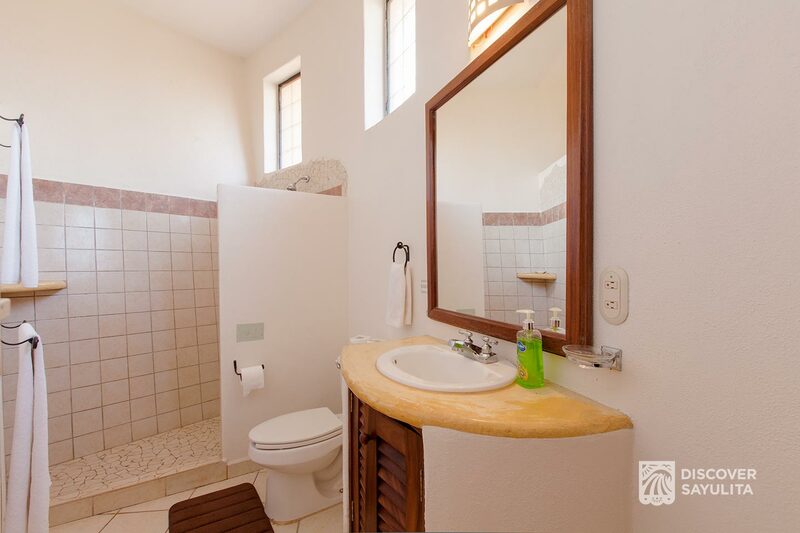 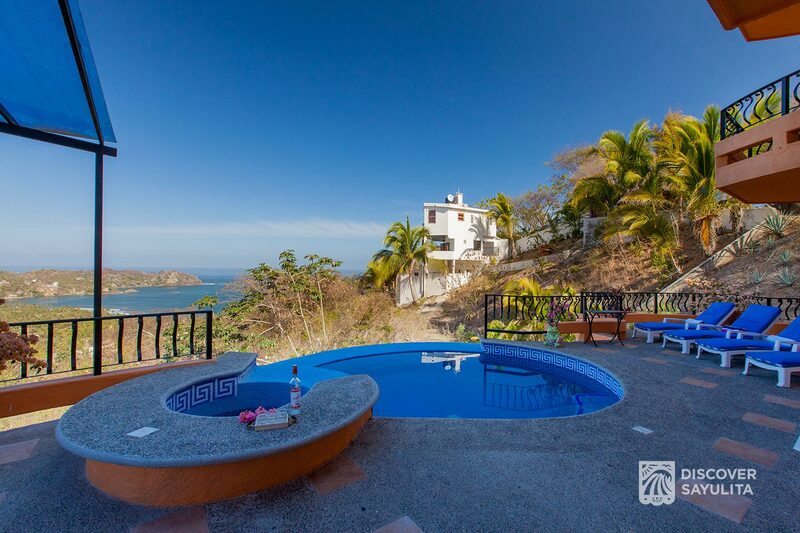 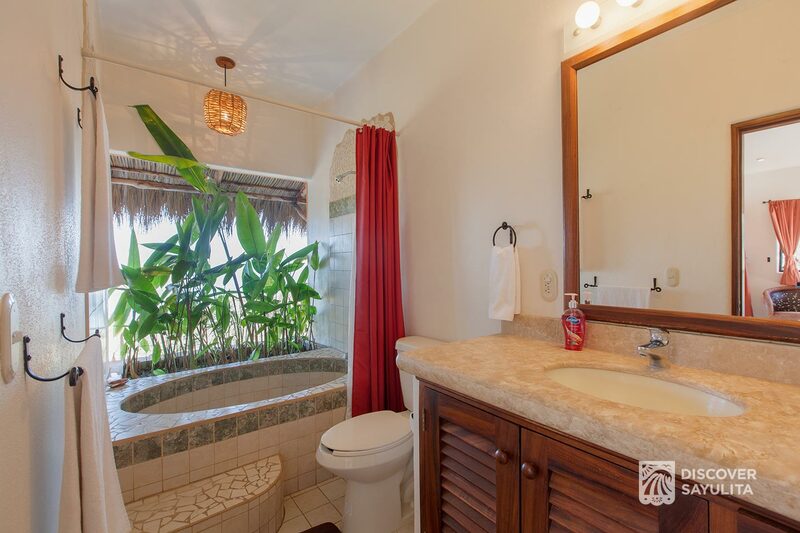 Each of the 5 bedrooms have air conditioning and ceiling fans for those hot summer, Sayulita nights and include hotel grade safes to ensure your valuables. 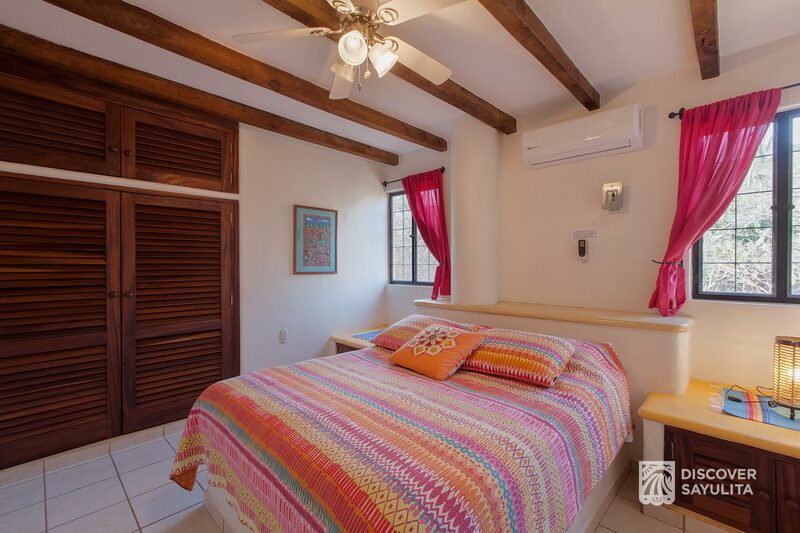 Consisting of 2 king master suites, 1 queen master suite and 2 queen bedrooms, your nights will be restful after a long day of shopping and taking in the sites. 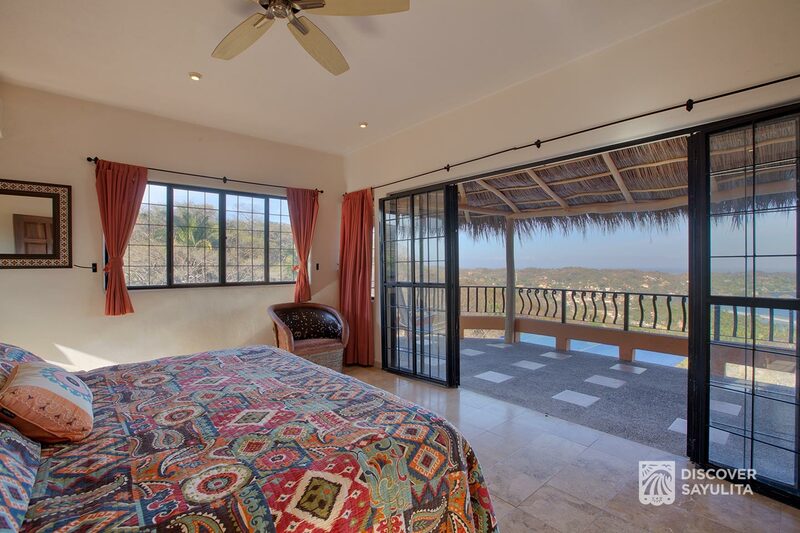 Enjoy morning coffee and evening sunsets on the bedroom patios. 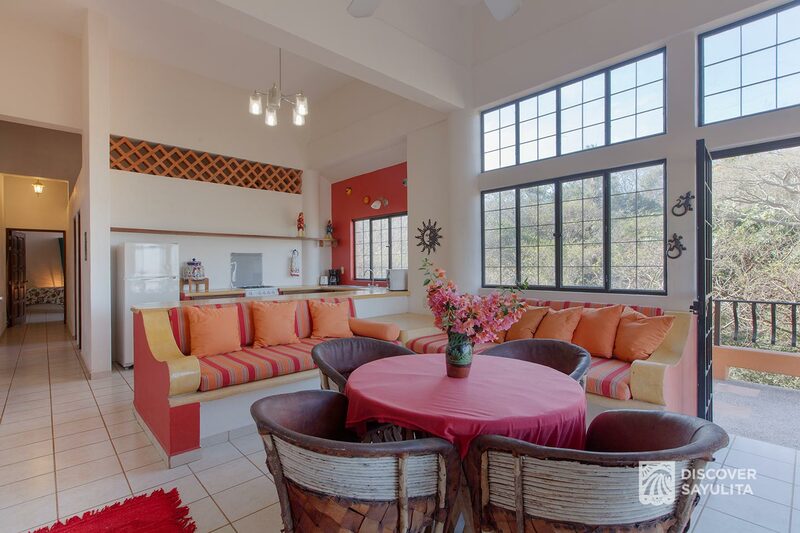 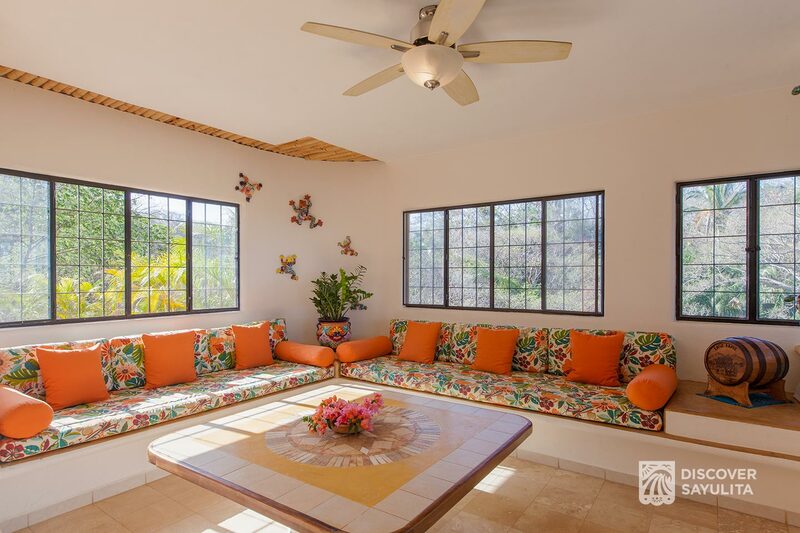 Locally designed and traditional Mexico style built-in benches, with brightly colored cushions, provide extra sleeping space for extra guests and provides plenty of room for entertaining. 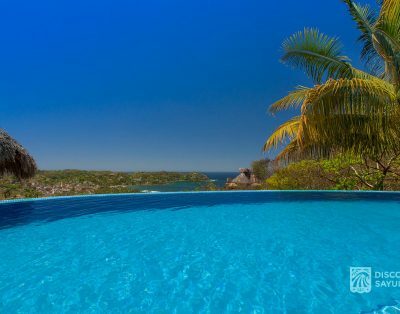 The infinity pool and multiple terraces provide a tranquil atmosphere for year round sunset, ocean, city and lush vegetation views. 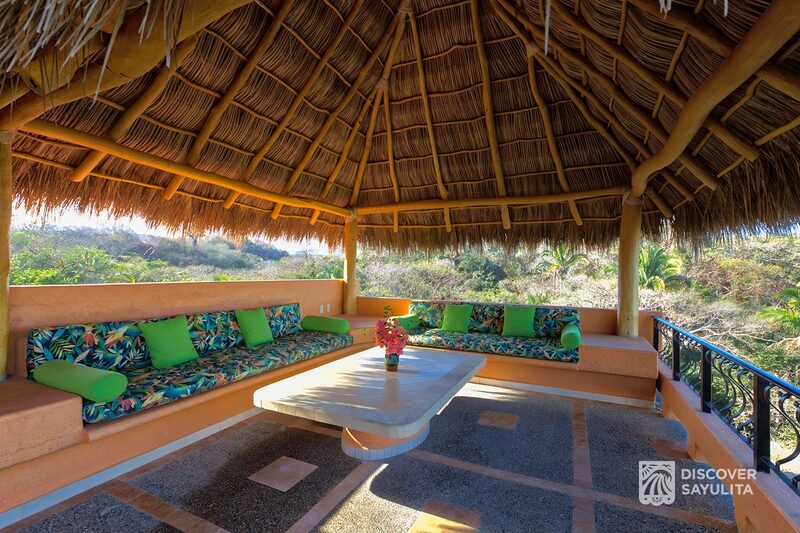 A terrace located, Mexican- style palapa with comfortable seating is the ideal spot to entertain and enjoy drinks and night breezes. 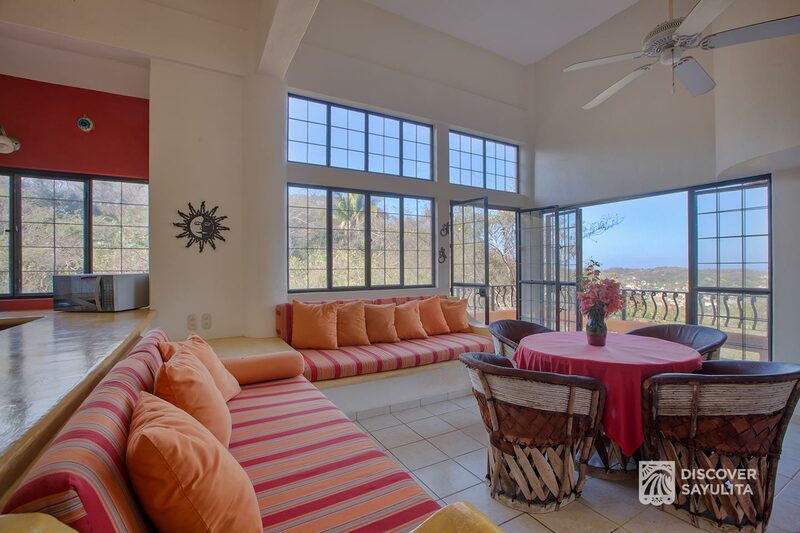 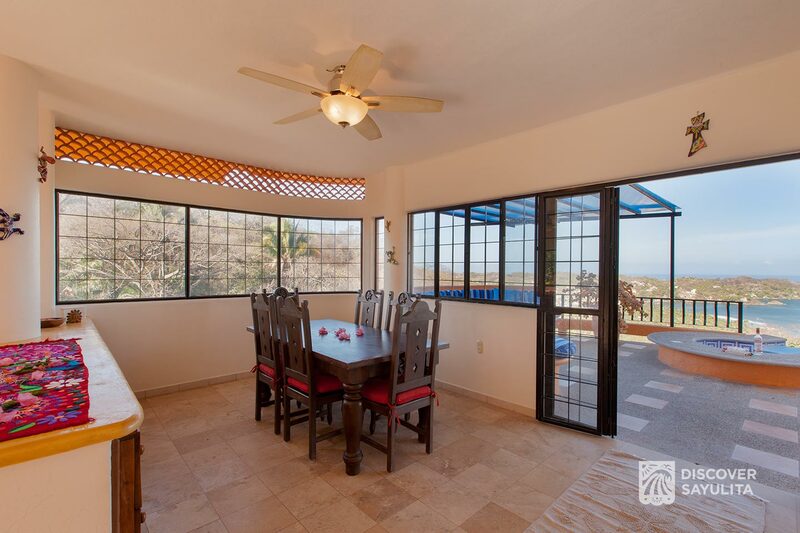 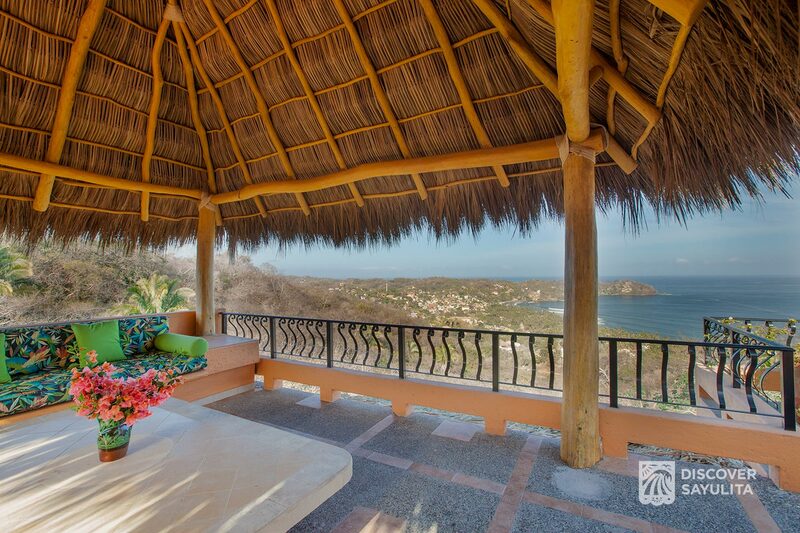 Throughout the property, Casa Agave includes a number of large, comfortable seating areas. 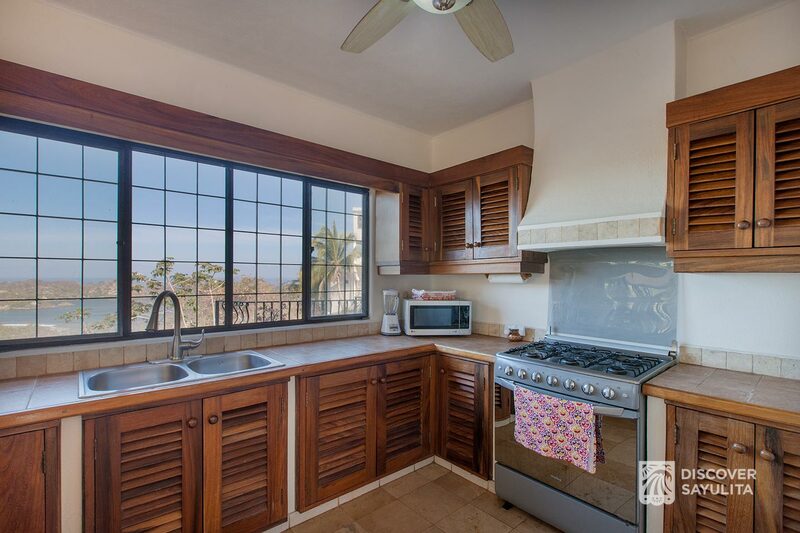 If you want a break from the many diverse and excellent restaurants in town, Casa Agaze’s fully stocked kitchen has all the amenities and ample dining space to enjoy a night in the house. 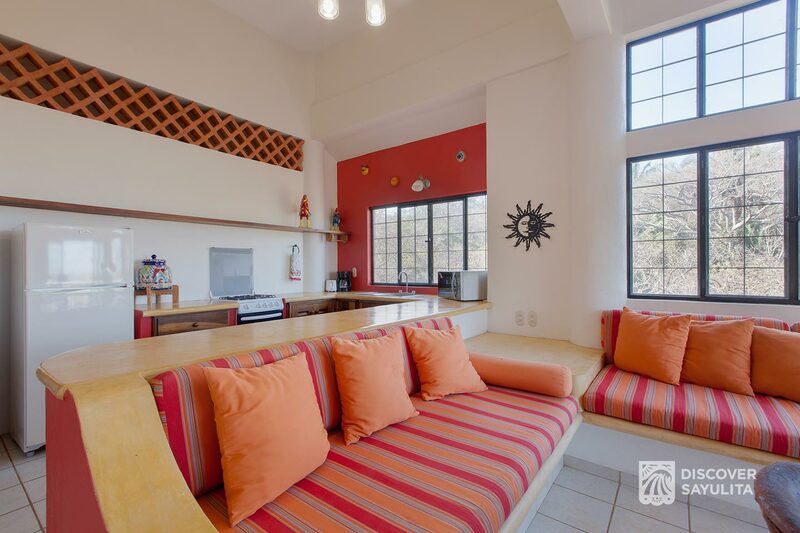 Entertain, cook, eat and drink in comfort. 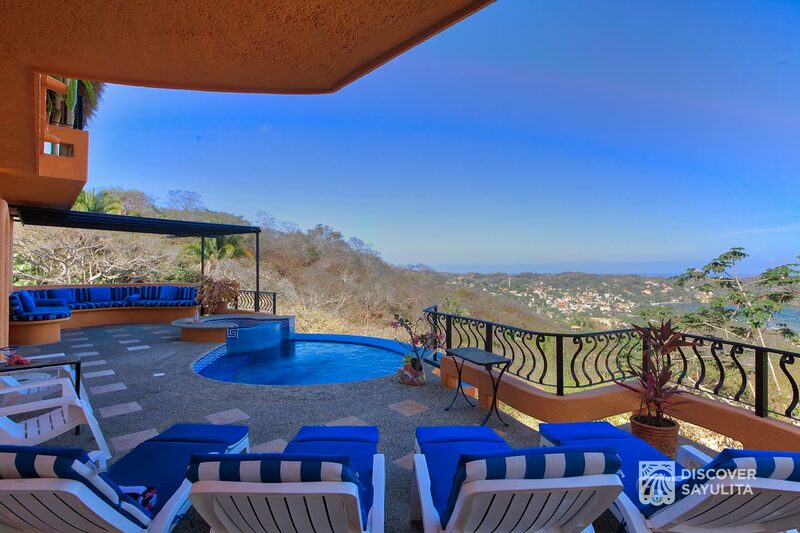 With Casa Agave’s stunning views on Nanzal Hill, a golf cart rental is recommended for frequent trips into town. 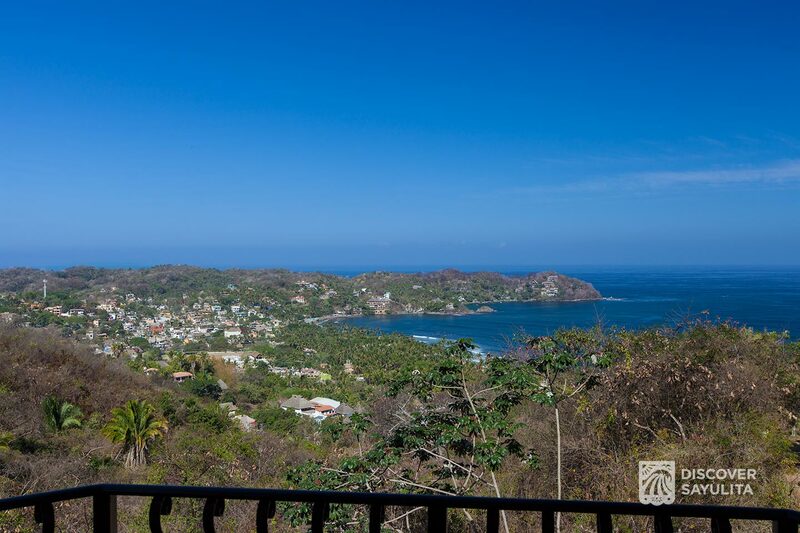 Discover Sayulita’s included discount package provides access to the best carts at the lowest prices in town. 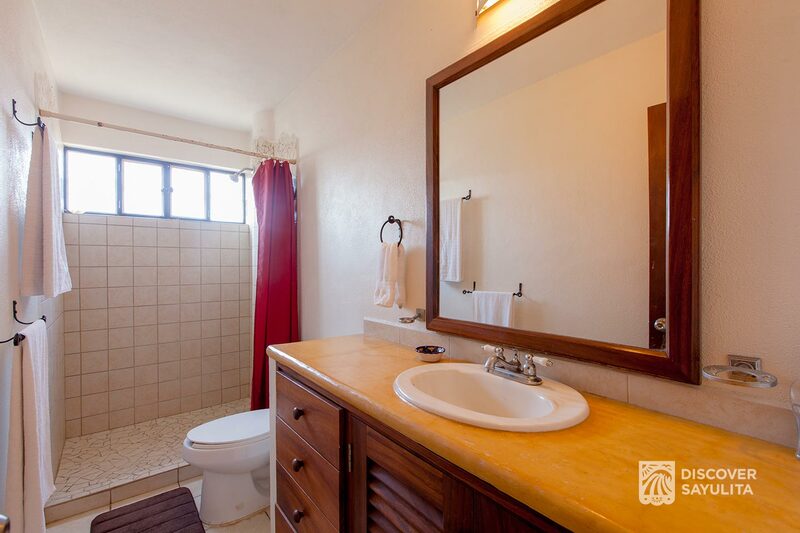 Rental property damage protection is required ($79).